Working in the garden without the right tools will only get you so far. It is important you have the items which will help you till, dig, remove weeds and otherwise clean up the outdoor area. These are a few tools you should have when working in the garden area outside your home. This small item allows you to remove dirt, get rid of weeds and set a ‘bed’ for the flowers you are going to lay down in the garden. You can easily work into tougher rock and sediment, remove deposits and create a space large enough, for the floral arrangements you are going to plant. These are essential to cut limbs which are too long on trees, to cut dead leaves off or to otherwise trim branches and leaves. If you want to maintain a clean, neat garden area these shears can easily cut through tougher branches, thicker materials and help you maintain and preserve your floral arrangements and trees in the garden. Both of these can be used to help you dig, and otherwise create space for gardening, planting new trees, or cleaning up an area in the garden. When working outside, you need to create an even canvas for planting. Both of these tools are going to allow you to do that quickly and easily, without exerting too much energy when working outside. Of course, you need a rake, pruner, a garden knife and rain gauge as well. Whether you have a small garden area or plan on cultivating a larger space outside this year the right tools are going to make your life much easier. Before purchasing expensive gardening equipment, I would recommend looking at some reviews online to make sure you are getting the best product possible. One example of a site is ratedwinners.com . 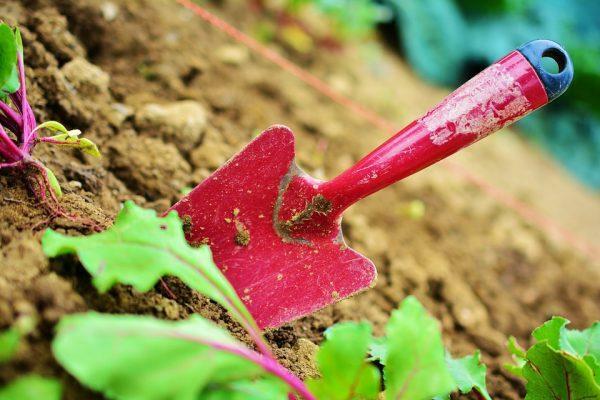 These are a few simple tools any homeowner can rely on when they are planting, cleaning, removing weeds or otherwise cultivating their outdoor garden with the warmer weather near approaching.